Yum!! One of my FAVORITES!! 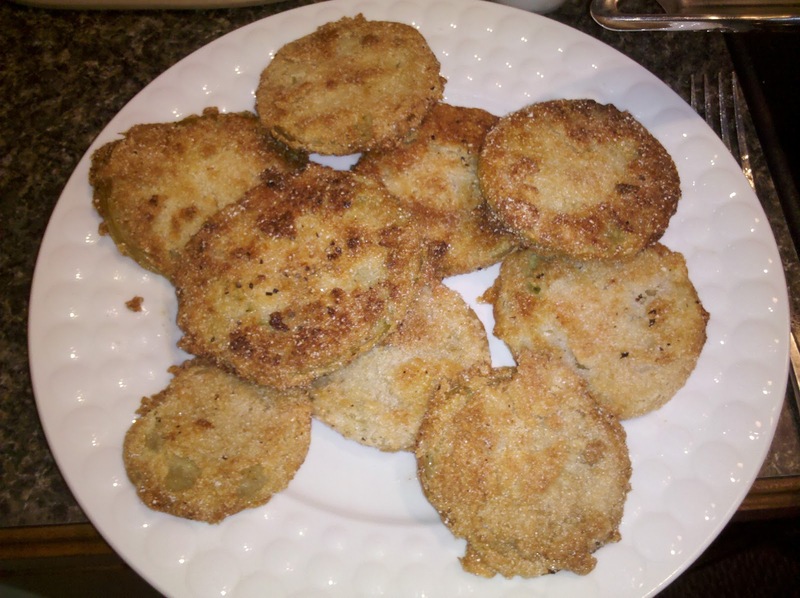 So here is how I make Mine... Start with slices of fresh green tomatoes (I don't like any pink in mine). 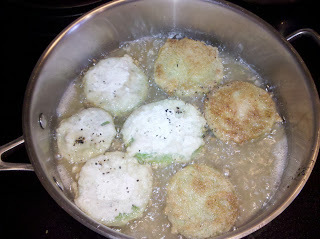 Then dip them in buttermilk (or milk if you don't have buttermilk). The milk makes them more crispy because the coating will stick to them better. 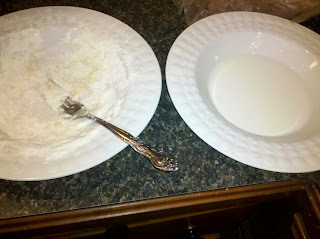 Then after they are all wet with buttermilk toss them in a mixture of cornmeal and flour (more cornmeal than flour). Fry them (both sides). Don't forget to salt and pepper each side. And then ENJOY!! Some people like to dip theirs in ranch, but I like mine plain. Yummy!